Why would I need self storage in Longmont, CO? There are a variety of reasons why you might need self-storage in Longmont, CO.
How much is a storage unit in Longmont, CO? The cheapest storage unit in Longmont, CO is $58.00 per month. What size storage units do you have available in Longmont, CO? In Longmont, CO we have sizes that range from 5'x5' to 10'x30' to suit your storage needs. How much is it for a 5'x5' storage unit in Longmont, CO? The cheapest 5'x5' storage unit in Longmont, CO is $58.00 per month. The city of Longmont is a growing community located just north of Denver and Boulder, Colorado. It's home to scenic views and high-quality amenities, as well as a flourishing craft beer industry. The Longmont tourism industry is also thriving, thanks to its prime location near Rocky Mountain National Park and a variety of recreational opportunities. Longmont traces its history to the Native American tribes that originally called this area home. Most of them passed through Longmont in their pursuit of buffalo, remaining in the area for short periods of time. European settlers arrived in Longmont in the early 1800s, but it didn't become a city until 1870, when Chicago businessmen decided to develop a new community that they called the Chicago-Colorado Colony. The Chicagoans sold memberships to the community, which paid for Longmont's development. 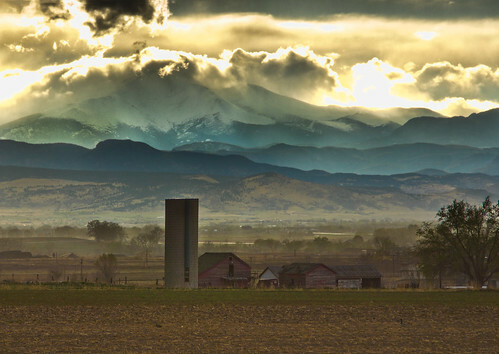 The city was named for its amazing views of nearby Longs Peak, and the new citizens brought in water so they could harvest crops from the fertile soil. Profitable crops in Longmont included hay, sugar beets and a variety of vegetables. People came from all over the world to take advantage of the agricultural opportunities and the peaceful environment in Longmont, with the community becoming so popular that the population nearly doubled with each passing decade through the early 1900s. Women took over farming duties during World War II, as more than 2,000 of Longmont's residents were called to fight. After the war, new industries found a home in Longmont, from technology and manufacturing to air travel and retail. The local population soared to more than 80,000, and although the recession hit Longmont hard, the community has recovered well. Longmont's chief attraction is its amenities. You'll find everything you need within the city limits, whether you're looking for a place to shop, dine, grab a cup of coffee or fit in a workout. Public transportation provides a convenient way to get around town, as well as a connection to the larger cities of Boulder and Denver. There are plenty of local places to enjoy your off time in Longmont, many of which take advantage of the scenic location and beautiful weather. Sandstone Ranch Park and Union Reservoir Park are two of the largest parks in the community, providing walking trails, picnic areas and various recreational activities. You'll also find a number of local dog parks, community playgrounds, skate parks and disc golf courses. With a relatively low unemployment rate, Longmont is a good place to find a stable job. Its major employers span a variety of industries, including education, technology and health care. If you're on the hunt for a job, you may want to start with the largest employers in the area: St. Vrain Valley Schools, Seagate Technology, Longmont United Hospital and DigitalGlobe. The St. Vrain Valley School District serves the public schools of Longmont, and there are also many different private schools within city limits. If you're looking for a place to pursue a college degree, the Boulder County Campus of Front Range Community College provides a variety of two-year degree programs. Utilities: The Longmont City Utilities department provides electricity, water and sewer services. Garbage and Recycling: Trash, recycling and compostables are collected on a regular basis in most residential areas of Longmont. Transportation: Local bus routes within Longmont can be used free of charge. The Regional Transportation District offers connections throughout the greater metropolitan area via a network of bus and light rail routes. Although the median home price in Longmont is quite a bit higher than the national average, you'll still find it far more affordable than the nearby city of Boulder. While home prices are rising steadily, rent prices are fairly stable. Our lowest priced units in Longmont, CO average $58.00 per month. 55 people have reserved units in Longmont, CO in the past 30 days. There is 1 location within Longmont, CO's city limits.